Showing 6 articles from October 23, 2017. My name is Jillian Fuss. I am the daughter to Shari and Jan Fuss. I came to the small school of Napavine at the age of nine. For leisurely activities, I spend my time writing, reading and on occasion I do makeup for our theatre club, homecomings and proms. I am known to be an ambitious student and a huge fanatic for school spirit. The Winlock Cardinals had a hard fought game against the Wahkiakum Mules on Oct. 20. The game, long and hard fought for both sides, making the game great to watch for both ends. With this game being the last home game for Winlock, thus making it also Senior Night for the seniors of Football and Pep Band. The seniors recognized for Football were Tyler Cook, Nathan Porter, Nick Patching, Seth Lindsey, Mason Brown, Dawson Hall, and Micheal Wilson. 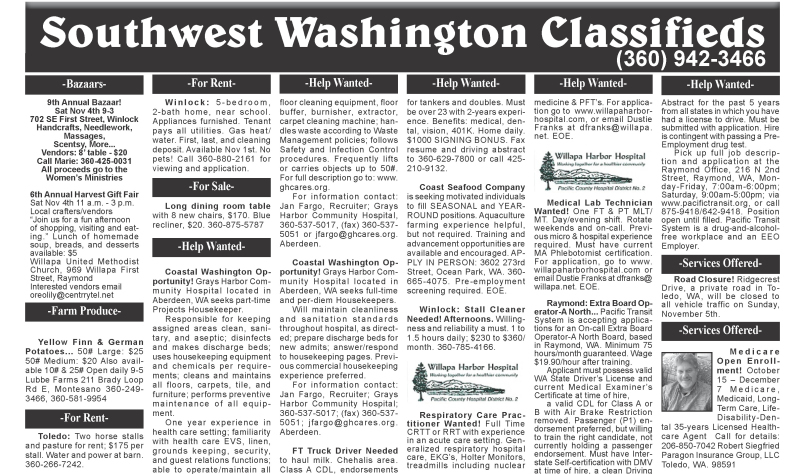 The Town Crier caught up with the three candidates running for the Winlock Mayoral race. Many of you will notice that only two people, Timothy White and Lonnie Dowell, are on the ballot. Well Don Bradshaw has also thrown his hat into the race as a write-in candidate. Photo by Daniel Enyart - Ugly Ed\'s daughter, Debbie Buchanan, standing next to an old switchboard. Just one of the many antiques available in the upcomming, open to the public auction. After approximately 45 years Ugly Ed's has closed its doors for good and from Nov 3 to Nov 5 Garrison Auctioneers will conduct an auction that will be open to the public in an attempt to liquidate their remaining inventory. 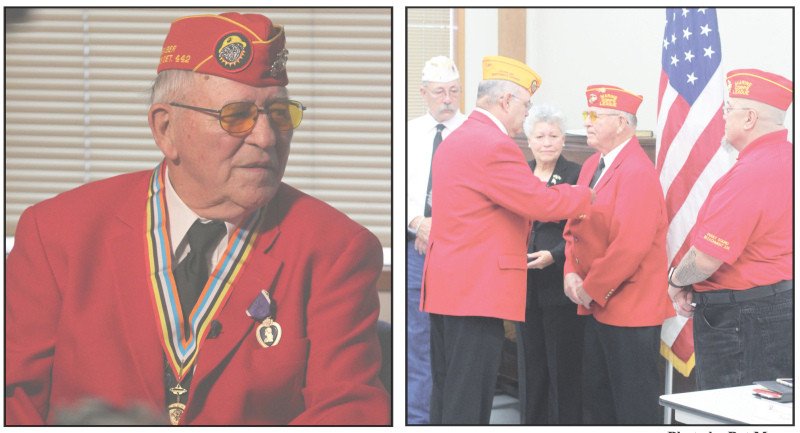 Photo by Pat Myers - During a regular meeting of the Twin Harbors Detachment Marine Corps League a surprised Korean War Veteran, Irv Stephens (right), was presented the Purple Heart Medal. Last Thursday during a routine meeting of the Twin Harbors Detachment Marine Corps League, attendee and Marine veteran Irv Stephens of Raymond, at age 85, was, to his surprise, presented with the Purple Heart for injuries he received during his tour of duty in the Korean War some 67 years ago.